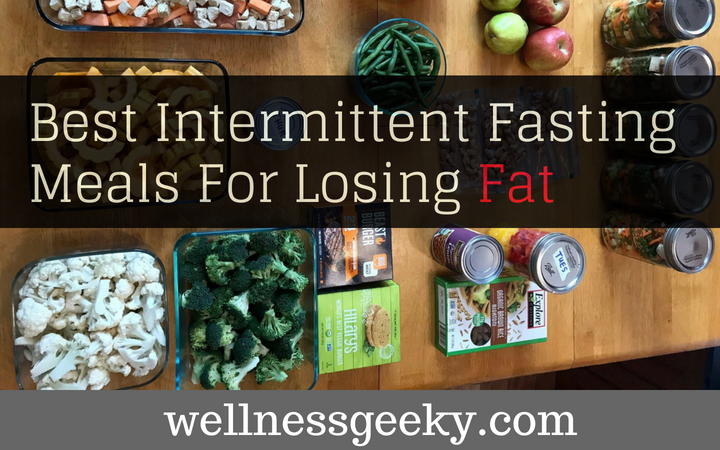 Best Foods for Intermittent Fasting: Top Meals For Loosing Fat? You are here: Home / Healthy Diet / Best Foods for Intermittent Fasting: Top Meals For Loosing Fat? Intermittent fasting is one of the most beneficial healing solutions. Whether you struggle with weight or health issues, this ancient secret can help you cope with that. It has been used for centuries as an eating habit. Nowadays, it has grown and evolved in a whole new way. If intermittent fasting that is done in the right way, it can yield a plethora of benefits for your body. There are plenty of studies on this subject, and one of them is the study published by the Trials. Intermittent Fasting proves that benefits range from lower body fat and increased energy to overall health improvement. In addition to that, it doesn’t require from you to invest a ridiculous amount of money or to do crazy intense workouts. Its eating pattern is what matters the most. Many people think that fasting is another word for starvation. However, they can’t be more wrong. Fasting is done controlled, and it’s carefully planned, while starvation is not voluntary. 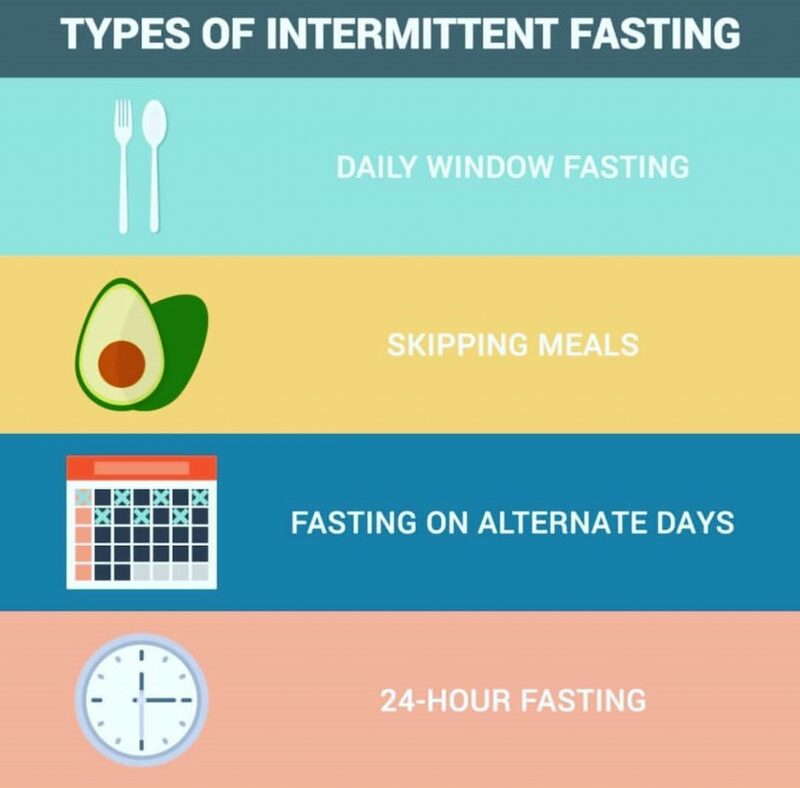 No matter why you choose to try this eating pattern (fasting to lose weight or for health reasons), this powerful fasting method will rejuvenate your entire body and mind. It takes time to get used to this new regime, but once you do that, your lifestyle becomes more comfortable and healthier. Since food is something that fasting is revolving about, let’s go a little bit deeper into this subject. You get to create your plan of eating. You get to choose when and what foods you want to consume. However, there is a specific part of the day when you are not allowed to eat. It can be at the beginning or the end of a day. This way of eating can be followed for as long as you desire. Your fat is extra food stored as an energy resource. While you’re fasting, your body will use that food for energy. Nevertheless, hormone insulin plays a significant role in storing food. Sugars turn into glycogen, and they are stored in your liver. Once you pass the specified limit of your liver capacity, extra glucose will be stored as fat. That’s why it’s significant that we keep our insulin sensitivity under control. On the other hand, when we don’t eat, insulin levels begin to fall. That’s when your body gets the signal to start burning fat. Therefore, we can either store or burn food energy. Once you find a perfect balance between these two, you should not have a problem with excess fat or to lose weight. Intermittent fasting comes with no health consequences whatsoever. To get as much health benefits as you can from your calorie allowance, you need to think about what kind of ingredients you consume. If you wonder what to eat or not to eat, we have created a food list and an example of a meal plan that can help you. And if you are busy you can always try to use home delivery meals services, but keep in mind that it can get pricey. 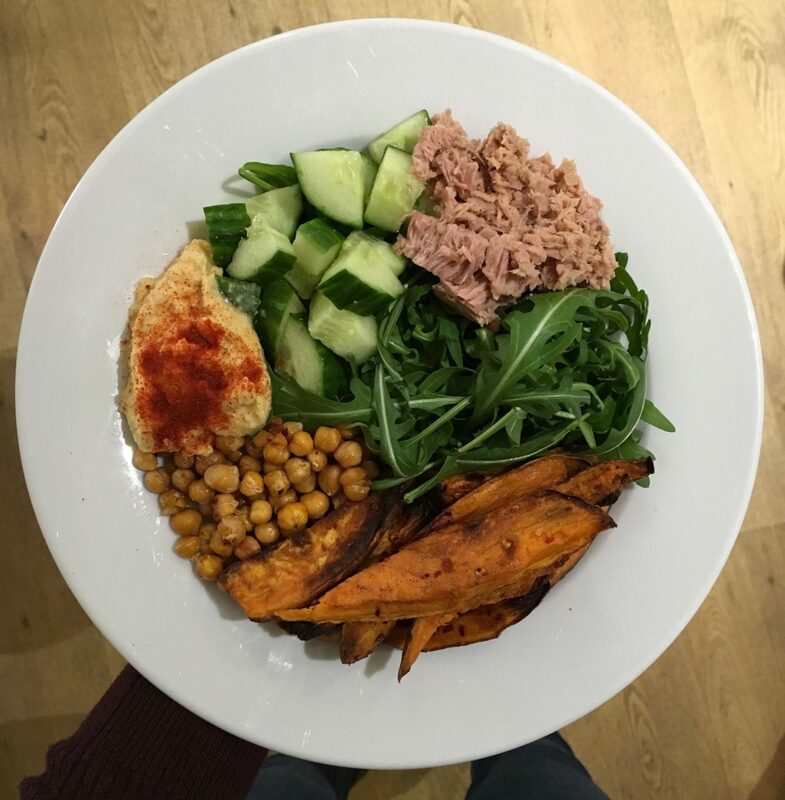 A good diet plan will provide you with even better results, and you will get the most out of your fast. First and foremost, try to consume protein at every meal. It will help you maintain and build muscle, keep you full for a more extended period and it’s low in calories. You can try to break your fast as much often as you can with this nutrient due to its many advantages. 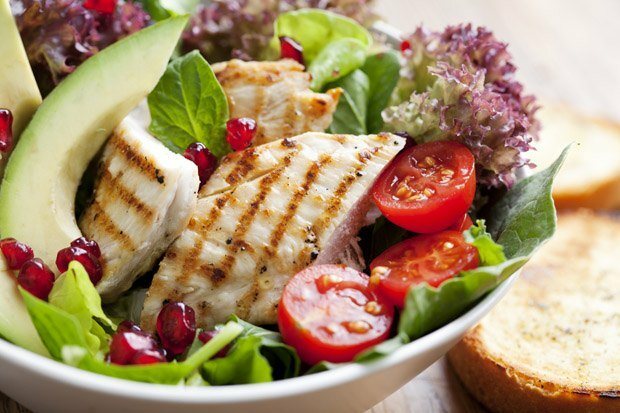 By eating protein on an empty stomach will help you to preserve muscle and tone your body. Always make sure that you consume a portion of vegetables with your meal. Fiber that comes from vegetables will fill you up additionally, and your body will get an abundance of minerals and vitamins. You can either steam, roast or stir-fry them. Add some flavors to your vegetables, and you can create an enjoyable meal. One more solution is to make one big salad by adding some meat to it. When it comes to carbohydrates, keep them as low as you can. They can be high in calories, and they can spike up your insulin levels. Furthermore, you will fill hungry soon after eating them. On the other hand, a portion of fruit daily can be used as snacks, it can satisfy your sweet tooth, and you will consume lots of fibers. Although fats are high in calories, don’t avoid them. Healthy fats in moderate amount are crucial for good overall health, and they will fill you up. Omega 3 fatty acids are their best form, and they can be found in various delicious foods. Also, foods that are rich in omega three are often loaded with amino acids as well. A list of foods to eat while fasting is big and it depends on your personal preferences. You can choose from a variety of different tastes and flavors that can keep you full and satisfied. Benefits of fasting are numerous and, by consuming food that is loaded with nutrients, you can enlarge them. You will notice how your concentration and mood is enhanced. Excess fat will slowly and securely go away while you’re growth hormone increases. When it comes to your sugar levels and insulin, they will be controlled and lower than usual. With intermittent fasting, you will boost your energy and improve the quality of your life. In addition to that, the study published in the Ageing research reviews shows that fasting could prevent some of the most common diseases nowadays, like Alzheimer’s and cardiovascular issues for instance. The study published by the Rejuvenation Res. shows that intermittent fasting affects your internal functions positively. Your metabolic rate will be higher, you will slow down the aging process and you’re your metabolism will be faster. However, if you’re trying to lose weight, don’t forget to stay in a calorie deficit. Follow low carb diet and try to avoid junk food. Consume as many days of the week as possible healthy food that will improve your health along with your outside appearance. A fasted period (while you’re not in your eating window) is considered as a period that detoxifies and cleanses both your mind and body. If you mostly consume foods that we mentioned before and incorporate a suitable workout plan along with it, healthy advantages that you will get are countless.